State-owned Garden Reach Ship Builders and Engineers Ltd. (GRSE) has become the "first Indian shipyard" to build and deliver 100 warships. The 100th warship 'IN LCU L-56' has been handed over to the Indian Navy. GRSE had handed over its 99th warship, 'ICGS Priyadarshini', an advanced 'Fast Patrol Vessel' to the Indian Coast Guard. Based in Kolkata, Garden Reach Ship Builders and Engineers Ltd (GRSE) is a shipbuilding company in India under the administrative control of the Ministry of Defence. GRSE primarily caters to the shipbuilding requirements of the Indian Navy and the Indian Coast Guard. In addition to its ship and warship building capabilities, GRSE is also engaged in engine production and other engineering activities. 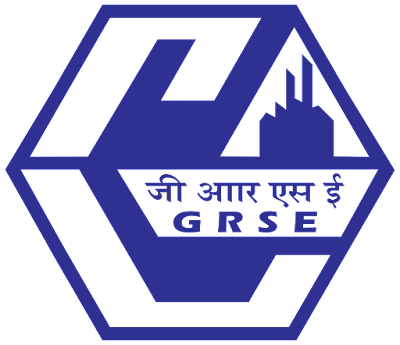 In 1934, GRSE was incorporated under the Indian Companies Act, 1913 and was later acquired by the Government of India from Macneill & Barry Limited on May 19, 1960. In 2006, GRSE was conferred upon the status of Mini Ratna. Over the years, GRSE has built around 780 platforms, including 100 warships to the Navy, the Coast Guard, and the Mauritius Coast Guard. Q. Which has become the "first Indian shipyard" to build and deliver 100 warships? Answer to the above Question is "3"